NEW YORK The State Department is further drawing down staff at the U.S. Embassy in Libya for security reasons as the Obama administration continues to face heat over the exact nature of the deadly attack on the Benghazi consulate that resulted in the death of Ambassador Christopher Stevens and three other Americans. A senior State Department official said Thursday that the reduction in personnel at the embassy in Tripoli, which has already been operating with limited staff after the Sept. 11 attack in Benghazi is expected to be temporary. The official said the security situation would be reviewed early next week with an eye toward restoring the staff "as soon as conditions allow." The official spoke on condition of anonymity because the official was not authorized to publicly discuss the security situation in Libya. 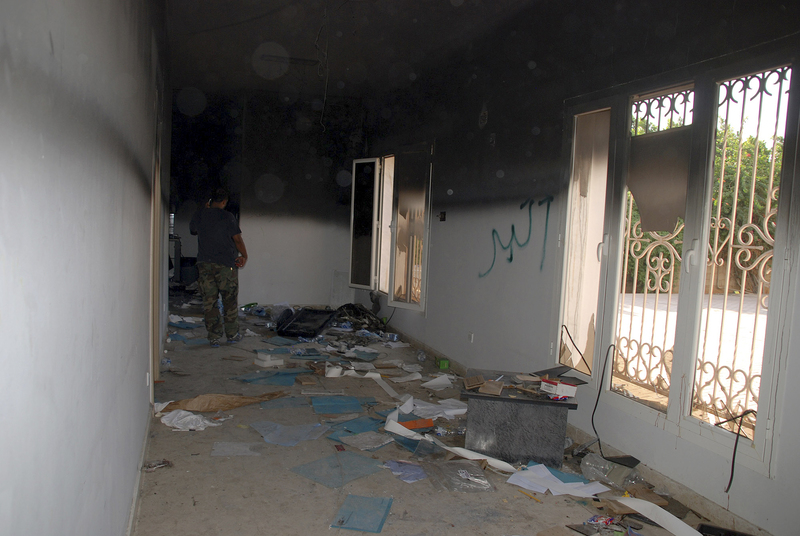 The embassy warned Americans of possible demonstrations in the capital and Benghazi on Friday. The Obama administration has now definitively called the assault as a "terrorist" act, most recently by Defense Secretary Leon Panetta Thursday, but it has received criticism for initially characterizing the attack as a spontaneous outgrowth of an anti-U.S. protest sparked by a film mocking the Prophet Muhammad. Those critics - among them several Republican lawmakers - have said the nature of the attack, which featured heavy weaponry and a level of coordination, indicate it was pre-planned. The administration initially said there was no indication of pre-planning and have not officially changed that assessment. Several militant groups have been mentioned as suspects, most prominently Ansar al Sharia, which is believed to have ties to al Qaeda in the Islamic Maghreb. But as CBS News senior correspondent John Miller notes, blurred lines between groups make pinpointing a specific party as the one responsible is difficult. Even as of Friday, an FBI team sent to the country to investigate has yet to enter Benghazi amid security concerns, Miller reports. The same militias who may have been involved in the attack are the ones responsible for the city's security.